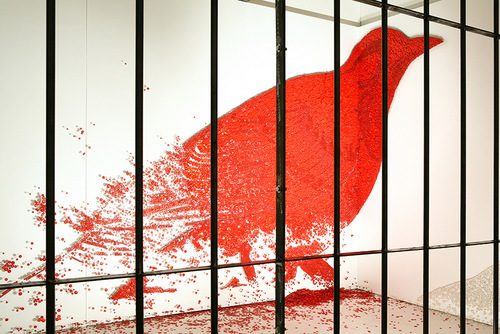 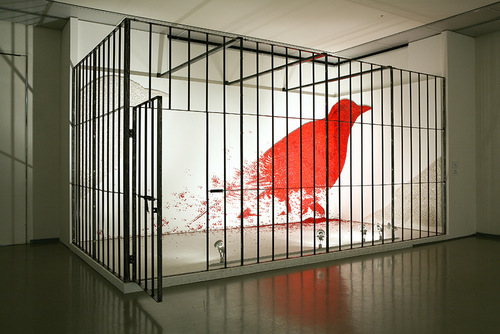 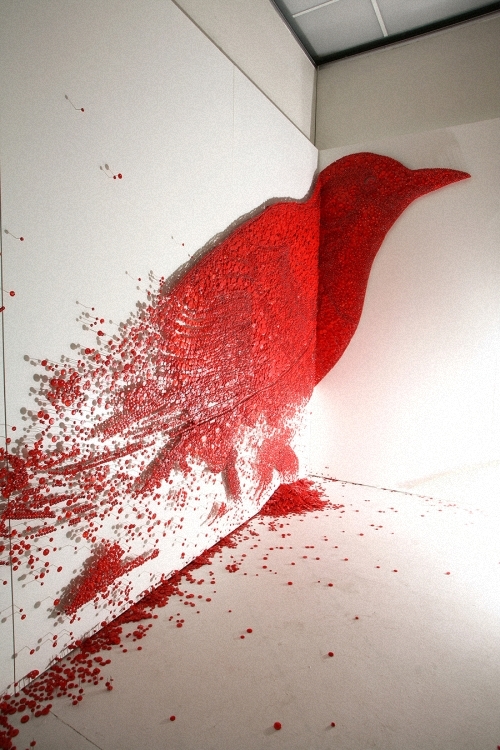 Bird sculpture made from red drawing pins. 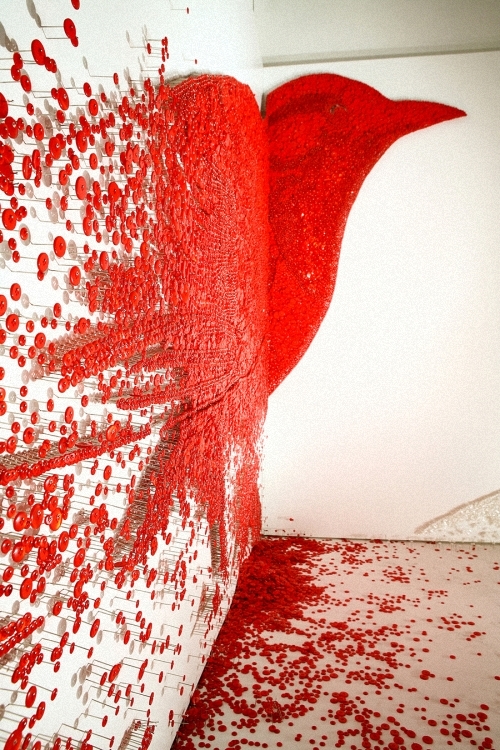 It looks good from a far but amazing close up, when the scale of the task is revealed. 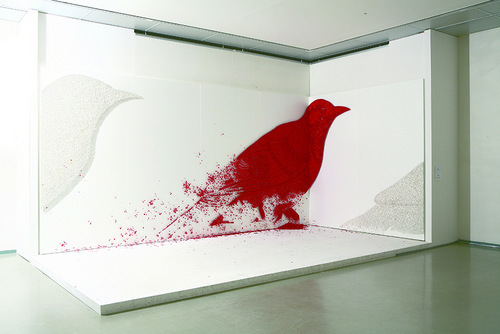 This art piece was the creation of Ran Hwang.